the award you receive. Once you have read 12 books, you will receive an award for that year. Napperby Primary School students have the opportunity to be part of the Port Pirie and Districts School Choir. Each year the schools hold a combined show for the public at the Keith Michell Theatre in Port Pirie. If your child is interested in being part of the Choir please speak with front office staff for more information. Once a year Napperby Primary School has sports day which involves from kindy to year 7 students. The three teams consist of Pirie, Flinders and Eyre. A shield is presented to the winning team Captains at the end of the day. IMS lessons in woodwind and brass are taught at the school by Mrs Sheridan on a Monday Afternoon. This is a dance program that runs for 5 weeks. A dance instructor comes directly to the school and sets a dance program for all the students. The school has been running this program with Hip Hop Bounce since 2016. Napperby Primary school works with the Port Pirie Regional Gymnastics Academy to provide our students with a 10 week Gymnastics program. The school has been running the Gymnastics program since 2016. 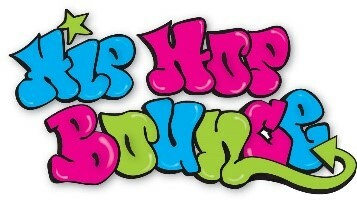 The feedback from students and parents for both the Hip Hop Bounce and Gymnastics program has been incredibly positive. Napperby Primary School continues to offer programs such as these, making sure our students are getting access to a diverse range of sporting activities.